"If there is an app for that"
Steelbound Sky ($1.99) by Witherwood Studios is a fresh new take on the traditional shoot-em-up genre. If you love those arcade shooters, but have wanted some different gameplay for the genre, then look no further than Steelbound Sky. While arcades are few and far between these days, I still enjoy checking them out whenever the opportunity arises. I went to them a lot more in the past, during my middle and high school days, and always loved going for the shoot-em-up games. These are one of my favorites, because how can I resist flying a spaceship or aircraft and just blowing up all of the foes that get in my way? Of course, while the formula behind these games is classic, there is always room for innovation. Steelbound Sky is one of the first to change how we look at the standard shoot-em-up game. In terms of visuals, I personally found Steelbound Sky to be a bit lacking in the department. The graphics are rendered in a 3-D style with a weird, slightly angled top-down perspective. Things in the background look blocky and rather jagged, and I’m not that impressed with the textures since they look a bit dated, especially compared to what you can find in other games of the genre. The enemy ships are more impressive, though, as they look much more modern than the backdrops. Animations are pretty smooth, though the wind streams you’ll be creating feel a bit choppy at times. The music is interesting, as it goes with a soothing tone as you are going through game menus, but gets more frenetic as you are playing a level and facing off against enemy waves. The sound effects are pretty standard, though they did get repetitive after a while. In Steelbound Sky, players must guard the town that is under siege by waves of terrorizing enemies and their projectile attacks. Right now, the game has seven levels for you to fight through, and while it certainly does not sound like a lot, the game itself is pretty challenging and it does take a bit of time to fully master the controls, so it will last a while. Plus, there are hundreds of different types of enemies to understand and counter, so it’s not going to be easy. 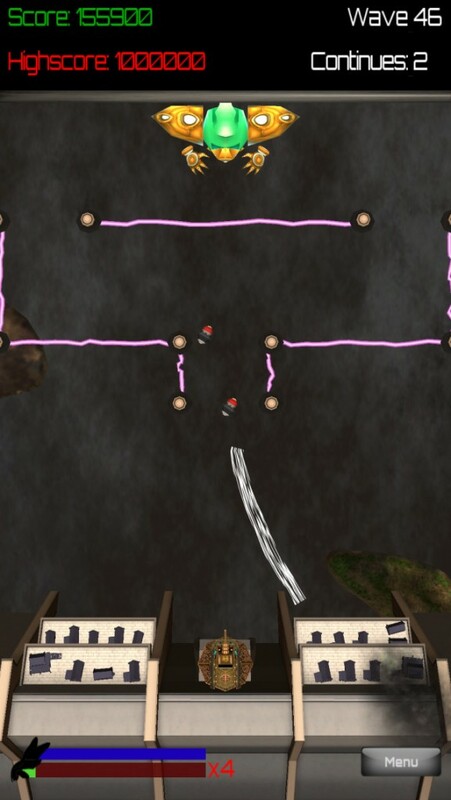 The levels will unlock as you clear previous stages, and sometimes two levels are unlocked at once, so it’s not too linear and gives you some freedom in the order that you play. You earn points for clearing out enemies, and even more points are given if you can rack up combos. Eventually, you will unlock the Boss Rush and Endless modes, which add overall replay value to the game. Unlike traditional shoot-em-up games, there is no ship that you fly in Steelbound Sky, blowing up foes with your lasers and missiles. 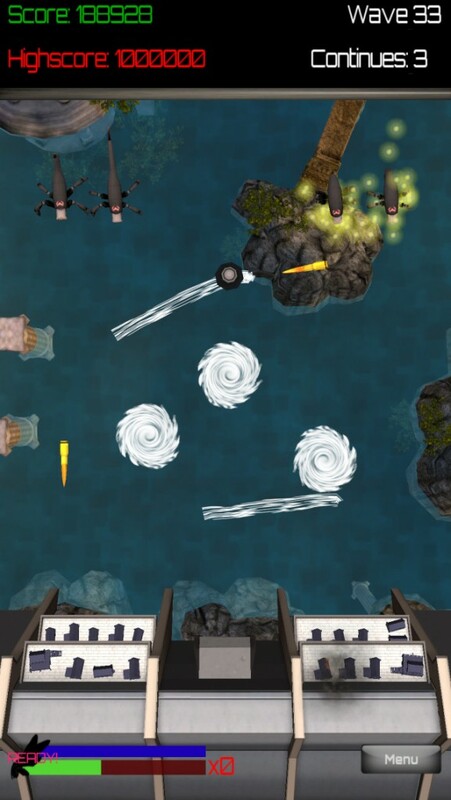 Instead, this game has you creating streams of wind in order to deflect attacks and defend the town. To do this, just drag your finger on the screen to create a single wind stream. The game only allows for one swipe at a time, so it won’t register if you try to create multiple streams at once. The moment that you lift your finger from the screen is when you can create another wind stream. The longer the stream is, the more time it has to remain on the screen, though it is still fairly short since they all go away after a few seconds. While the controls are intuitive, it’s not the most responsive I’ve seen — there can be a big delay in how swipes register and sometimes you just get a short stream instead of a long one like you originally intended. The best way to go about defending the town is to create your wind streams where the enemies and projectiles are going, not where they are at the moment. 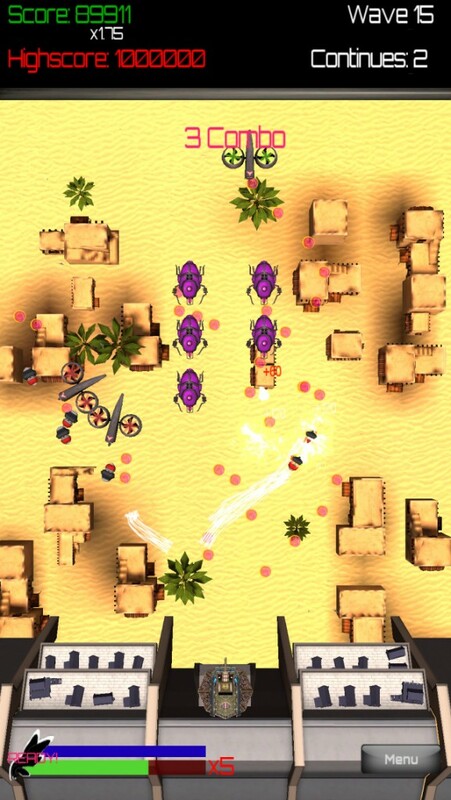 In addition to the unique control scheme, all of the enemies have their own distinctive behavior patterns and attacks, and it will take some time to learn and come up with the strategies to counter them. Plus, the boss battles mean even more intense sky manipulation. Additionally, as you beat stages, you’ll unlock special new abilities that can give you the edge in battle. These skills require you to fill up a gauge, which can be activated by tapping in the bottom left corner. But you have to use them wisely, as they do take time to recharge. There will also be power-up items that float around, and you’ll have to direct these towards your town to activate. These boosts include health restoration, increasing wind length, and increased wind curvature. I was looking forward to Steelbound Sky, but I can’t help but feel slightly disappointed with the release. The visuals could definitely use more polishing, because they’re rather dated and don’t fit in well with modern iOS gaming aesthetics, in my opinion. The swipe control scheme works, but needs better optimization for responsiveness, because sometimes I just end up frustrated at incorrect streams and then I can’t do much of anything to defend the town. Hopefully the responsiveness gets improved in the near future. Personally, I would hold off on Steelbound Sky until it gets some much needed improvements in the visual department and more responsive controls. But it is rather innovative, I’ll give them that. 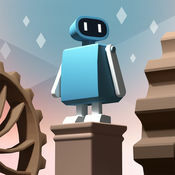 Steelbound Sky is available on the App Store as a universal download for your iPhone and iPad for $1.99. There are no in-app purchases. 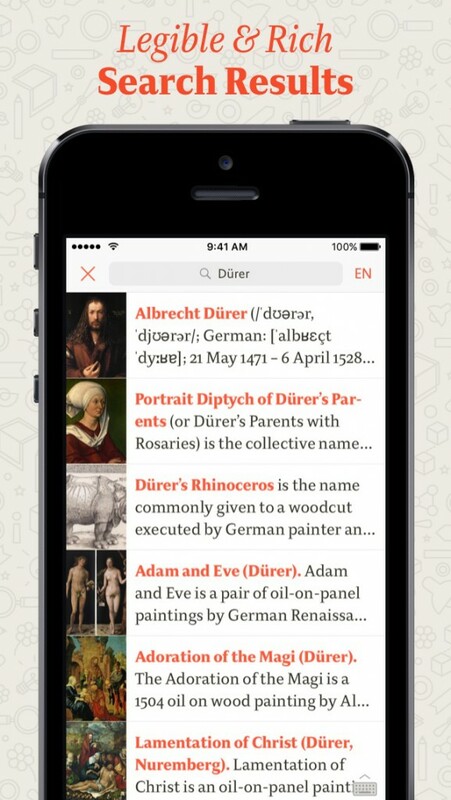 Viki – Wikipedia ($0.99) by Raureif is a beautiful new way to get your Wikipedia fix on-the-go. If you love learning new things on Wikipedia but want a gorgeous interface to interact with the valuable information, then you should check out Viki. 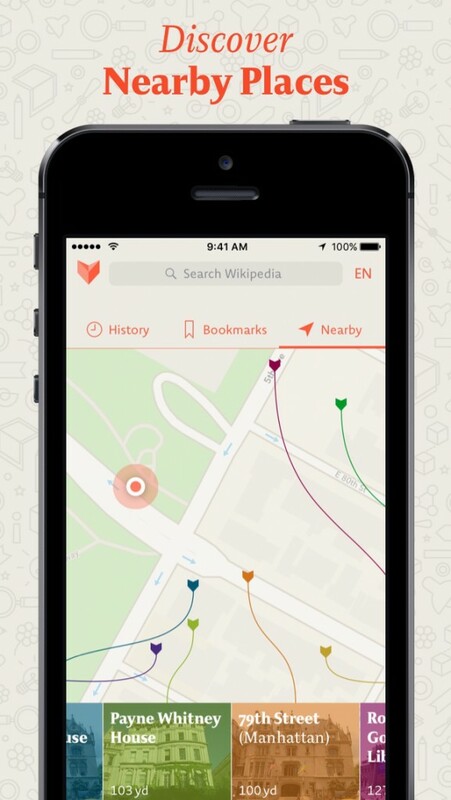 It is similar to other apps on the market such as Curiosity by Tamper (now renamed to Inquire due to legal reasons) and Wikiweb. Ever since I graduated from college several years ago, I have had a lot of time on my hands when I’m not writing here at AppAdvice. While my usual go-to activity in that case is to play some video games, another hobby of mine is to learn, because you’re never too old to stop learning new things in life. And with my iPhone, I literally have the knowledge of the world at my fingertips. One of my first sources to hit up when I’m bored is Wikipedia, and while the official Wikipedia app does a fine job, I usually prefer something prettier. This is where Viki comes into play. Visually, Viki is a rather spectacular looking app. The interface is simple and clean, and it gives users only what they need, without the cruft, so it is fairly minimal as well. The off-white background color combined with the classic serif typography means that everything is super easy to read, which is great considering that’s all you do on Wikipedia. I also thought that the entire app is rather fast and responsive, giving you results instantly and there is no lag when it comes to the map view. It is clear that a lot of thought and care went into Viki, and it shows — if you appreciate good design and typography and love Wikipedia, then this does not disappoint in that department. The first thing that you see upon opening Viki is the Map view, which uses your current location (if permitted) to show you nearby points of interest that have Wikipedia articles attached. It shows your position as the blue circle on the map, and has a surrounding radius to show you those points of interest. What I like about Viki’s presentation, though, is the fact that each marker on the map has a line that directs you to the proper Wikipedia article in a scrollable ribbon along the bottom of the screen. This makes it clear what you are looking at, and the lines move along with you as you scroll, which I found to be useful so you don’t lose track. If you pan around on the map and end up in an area that is farther away from your current proximity, then you can tap on the map to change the search location. This is a definite rabbit hole, though, so be warned — you never know what you may find out about the area you’re in. Personally, I find it fascinating learning about the city I live in, as well as surrounding areas. If you are in the mood to learn about something in particular, Viki has the traditional search functionality that you’d expect from any Wikipedia app. Just tap on the search bar at the top of the screen and then type in what you want. Viki is powered by Wikipedia’s full-text search and rich article previews, so while the results may take a moment to start showing up as you type, you’re getting a super comprehensive list of results for your inquiry. In fact, while you may find what you were looking for, some other articles may be interesting enough that you may still want to check it out later. When you find the article you want, just tap on it to view it. The article view in Viki is stunning, as it features a large header photo (if available) at the top, with the topic name placed on top. If you want to get a better view of the image, just pull the screen down and the header image will expand, getting rid of the blue overlay. The article displays introductions, sidebar info, and the full article body, complete with in-line links and footnotes. No matter what you’re reading, it will look good thanks to the Smart Layout, which uses advanced layout optimizations that will analyze and reformat any article for best readability and looks. To access the table of contents on longer articles, just tap on the button in the bottom right corner when the toolbar is available (pull the screen slightly upwards). Images can be tapped on to be viewed in a full screen mode, complete with a blurred, dark transparent background. If you’d prefer to read the article in a different language, just tap on the button in the top right corner, and choose your language. Overall, combined with the excellent choice of font, Viki’s article views are just beautiful to read, and it’s flexible enough to work for you, not the other way around. If you do find something that you want to save for later, or just want to have handy, then you can tap on the bookmark button (next to the table of contents button), and a delightful animation indicates that it has been saved. You an also use the Share button to do a myriad of actions with the article, such as sharing or sending a link to other apps. 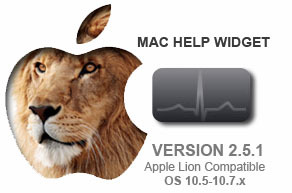 There’s even a button that will take you to editing the Wikipedia page in Safari if you need to make changes. On top of the fantastic iPhone and iPad interface, Viki is also available on the Apple Watch. 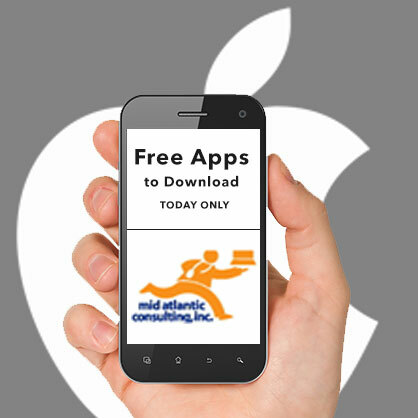 If you choose to install the app, you get Nearby Places, Voice Search, Handoff (swipe up on the lock screen to continue reading on your iPhone), and bookmarking. Honestly, I’m not that big of a fan of most Apple Watch apps these days due to slowness, but this seems like a handy feature if you prefer not taking your phone out. While I’ve only used Viki for about a day now, it has become my favorite way to browse Wikipedia on my iPhone. The app just looks exquisite, especially since the beiges, browns, light oranges, and blues make it easy to read. Viki is also incredibly fast, and I love the smart formatting and rich article previews for search results. The subtle but smooth and fluid animations when bookmarking are a nice touch as well, and the speediness of the Nearby view is great for long “down the rabbit hole” reading sessions. Seriously, I can see myself spending a lot of time with this app for a long time. I highly recommend giving Viki a try if you’re looking for a gorgeous way to access Wikipedia on your iOS device. You can find Viki – Wikipedia on the App Store for just $0.99, and it is well worth every penny. Wingman makes it easy to track your estimated blood alcohol content level. Simply enter your gender, age, height, and weight. Wingman will take care of the heavy lifting. Every time you have a beverage, simply tap one of the beverage icons at the bottom of the screen. You can tap and hold to specify the ABV as well. A handy Today widget allows you to quickly see your current EBAC level. Place anywhere from one to all 10 of your fingers on the screen at once and watch what happens. If you want to capture your particles, activate the sticky finger mode. This will keep them flowing in their last position and allow you to grab a screenshot. The app also includes TV-out and AirPlay support. Plastic bottles are piling up all around the city, and a mean robot villain is growing more powerful from them. Your child is able to tag along with Eco Boy and Bio Girl as they fight to keep the planet earth clean. 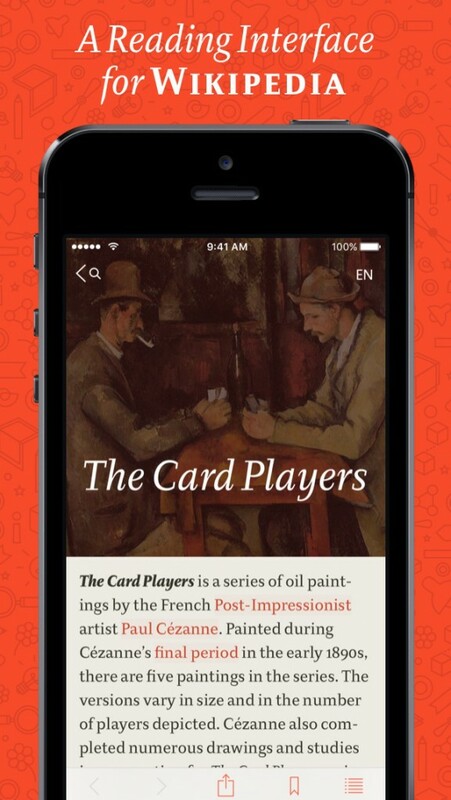 The app offers a read-it-yourself option along with a listening mode with professional narration. Sleep is dead simple. Just choose one of the 17 different sounds, set the timer duration, put on your headphones, and tap start. You’ll be fully relaxed and off to sleep in no time. Dreamdays HD puts the events that are most important to you front and center. When creating a new countdown for an event you’re able to title and categorize it, set a date, and create a custom background. The app will then begin its countdown and send out a reminder as the day approaches. You will also see the event appear within Notification Center as the date approaches. You’re able to view all of your countdown cards at once, filter them out, or view them separately. The app also includes passcode protection, iCloud support, and the ability to share events. 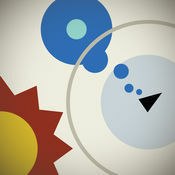 Apple on Thursday updated its App of the Week promotion with the game Sputnik Eyes. This means that for the next 7 days, you’ll be able to pickup the popular puzzler for free for both iPhone and iPad, a solid savings of $2. For those who aren’t familiar with the game, Sputnik Eyes tasks players with guiding tiny robots through various maze-like planets. There are over 60 handmade levels to explore, and each level is more challenging than the last. Outer Space might be cold and uninviting, but in Sputnik Eyes it’s kind of adorable. Guiding cartoony robots over its vivid alien worlds delights thanks to cheerfully quirky designs, a catchy soundtrack, and irresistible challenge. Each planet presents a maze of tangled paths to follow, demanding thoughtful planning to match the ‘bots with their color-coded bases. As we racked our brains exploring this kooky cosmos, we were entranced, confounded, and always eager for more. 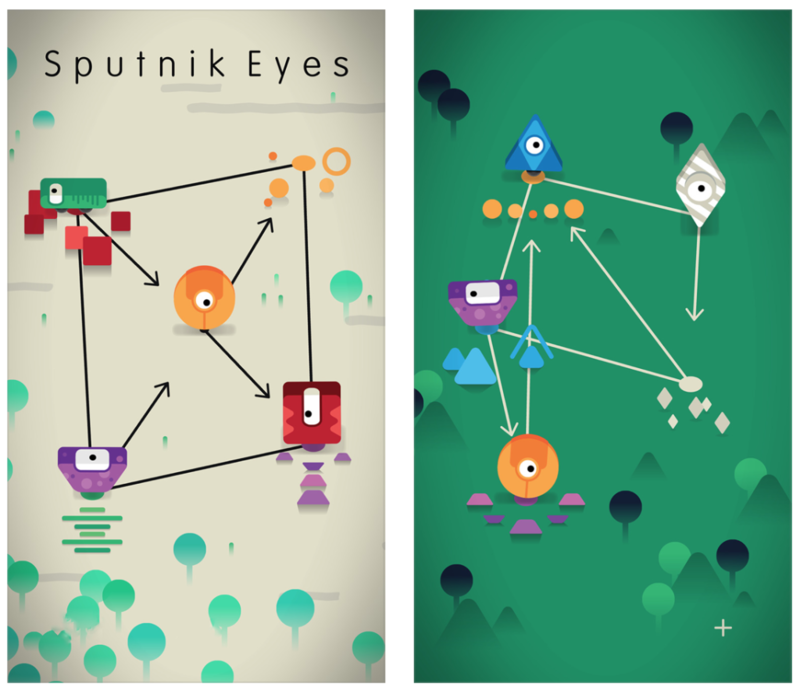 If you’re interested, you can grab Sputnik Eyes for free in the App Store. Sol Invictus not only delivers an epic sci-fi storyline from acclaimed science fiction writer Kyle B. Stiff, it also features original artwork from renowned illustrator Marc Gonzalez. This new tale picks up where the original left off. You and your teammates will lead a system-wide uprising against humanity’s oppressors. Each decision you make has major consequences, allowing for a rich and branching narrative. Sputnik Eyes takes you on a journey across space. Your objective is to slide robots around on paths in order to get them to reach their matching planet. Some of the paths can only be traveled on in one direction while others can only be traveled on by robots of a specific color. No planet can be occupied by two robots at once, so you’ll need to slide them all around in order to achieve your goal. The game includes a total of 60 handmade levels. Video Crop and Zoom will help you fix poorly staged videos. If you want to get things over with quickly, simply choose one of the many built-in constraints. If there’s something you want to focus on or cut out of your video, tap on it to bring up the manual editor. The manual editor allows you to freely pinch, pull, and rotate your fingers to crop your video. Finished projects can be saved back to the camera roll or shared via email. You're able to see both the numbers you input and their results in real-time. Calculations can be entered in portrait and landscape orientation without compromising functionality. You can assign variables, edit calculations via touch or navigation keys, and access previous calculations via history tape. The app also includes 30 scientific functions, the ability to lock orientation, and autocompletion of closing parentheses. You won’t be able to resist the wonder of this jigsaw puzzle game. Each of the 44 jigsaw puzzles features a breathtaking shark photo to reconstruct. The jigsaw puzzles can be broken up into as few as four pieces and as many as 24. You’re also able to choose whether or not you want a colored background and outline hints. What more could you ask for?